President Barack Obama is ready to offer cuts to Americans’ pensions to strike a deficit deal with Republicans, a White House official says. In return, Democratic Barack Obama wants higher taxes on the rich. The president will outline his budget plan next Wednesday, April 10. 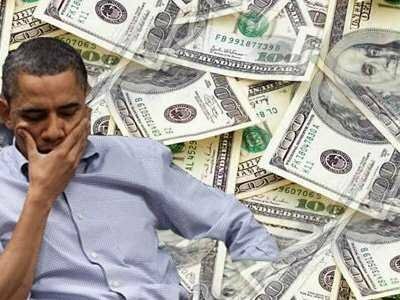 Barack Obama’s proposal is to cut the deficit by $1.8 trillion over 10 years, say administration officials. But Democrats would oppose cuts to pensions, while Republicans have refused to accept tax rises. Under the deal trailed by the White House, Barack Obama would support lowering the inflation measure used to calculate cost-of-living increases in Social Security pensions. The plan will also include reductions in Medicare spending for the elderly, much of it by targeting payments to healthcare providers and drug firms. The senior administration official who discussed the so-called grand bargain spoke anonymously because the budget has yet to be released. Barack Obama will seek to wine and dine Republican lawmakers as he hosts a dinner for them after unveiling his budget on April 10. The president’s plan also envisages making pre-school education available to more children by increasing taxes on tobacco. He discussed the main elements of his plan with Republican House of Representatives Speaker John Boehner last December during previous fiscal talks. Those negotiations ended at the beginning of this year with John Boehner accepting tax rises on earnings of more than $400,000, returning rates to levels seen during the Clinton administration. But the Republican deal-maker is likely to balk at the idea of another tax rise on the rich. Congressional Democrats and labor groups, meanwhile, are expected to staunchly oppose cuts to pensions and healthcare. “Millions of working people… will be extremely disappointed if President Obama caves in to the long-standing Republican effort to cut Social Security,” Senator Bernard Sanders, a liberal independent from Vermont, said earlier this week. In a budget proposal passed by the Senate last month, Democrats called for nearly $1 trillion in new tax revenue and no cuts to Social Security or Medicare.